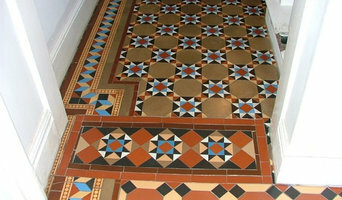 Heritage Tiling’s work is about restoring Victorian encaustic & geometric tiled floors and other historic tiled floors, I also install Victorian reproduction tiled floors and design and fit bespoke tile schemes such as cut-tile murals and mosaics. My work takes me all over the UK and I have worked extensively in Europe plus work in the States, and as far away as New Zealand. 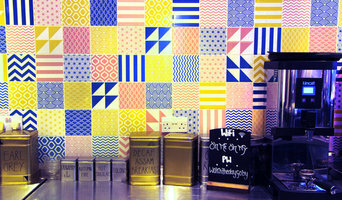 We supply porcelain and ceramic tile to the trade, interior designers, specifiers and home owners. Prices are based on contract prices so projects requiring 40+ sqm are only considered (can be mixed tile for different areas). We offer a fully consultative service with samples brought to site, deliveries managed and due to order quantities we can offer huge reductions in costs. Tile Merchants & Direct Importers Since 1989. Inspiration from Quarry, Kiln and Forest. Grey-Creative are a Greater Manchester based company who offer both domestic and commercial tiling services as well as full bathroom/wetroom designs and installations. We have 40 years experience, full accreditation to NVQ standards and are CSCA registered. Independent Floor and Wall Tile Retailers Offering Fully Supply & Fix Service. 25 years Industry Experience. Direct Imports from Spain and Italy. Porcelain, Ceramic, Natural Stone, Underfloor Heating, Kitchen Tiles, Bathroom Tiles, Feature Tiles and Much More! Full Installation Service Available. Free Survey + Quote. Supplying main, fit out, shopfitting and washroom contractors throughout the United Kingdom and Northern Europe Qubicle excel in providing high levels of customer service and product quality. Combining extensive experience with modern machinery, our efficient production facility allows us to be ultra competitive in a very demanding and price sensitive marketplace and working closely with our suppliers, Qubicle aim to offer the latest products and innovations to our clients. Working with brands such as DuPont Corian, LG HiMACS, KRION by Porcelanosa, Hanex, Tristone and all other UK supplied solid surface materials, if it can be made, Qubicle can make it. Using in house CAD adaption, MAGICUT optimisation software and HOMAG WoodWop CNC programming software, we can efficiently and effectively process raw materials to enable fast and production and short lead-times. Our ability to design and manufacture bespoke toilet cubicles, vanity units, IPS / Duct sets and wall panels in either MFC, HPL or SGL (compact) using materials from Egger, Kronospan, Polyrey, Fundermax, Trespa and all other UK supplied sheet materials allows us to offer a complete service to both our existing and new clients. 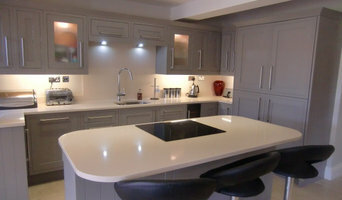 Furthermore Qubicle provide a bespoke solid surface kitchen worktop service to kitchen retailers and studios throughout the North west of the UK. Offering a laser templating service using the Leica Disto 3D, 7 day leadtime and comprehensive installation service, we can cater for all requirements from a standard worktop installation to a custom built, bespoke fabrication for the most discerning clients. We would be delighted to hear from you and to discuss your enquiry. We provide tiling design and installation in Cheshire, we are based in the Warrington area. We work on domestic and commercial properties creating beautiful designs which will bring any home to life just through are designs. 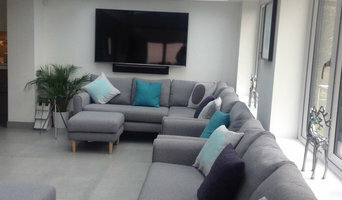 We have been trading for over 10 years and have a small team of professionals who are really skilled in what they do. Worktop installers and tilers in Liverpool, Merseyside can advise on the best tiles and materials to use based on your tastes and requirements and then will be able to install them to a high finish in your home. Kitchen worktops are a major part of your kitchen – you need surfaces that will be scratch and heat resistant, but at the same time still look attractive and work in harmony with your kitchen units, splashback and other kitchen elements. A worktop manufacturer and installer will be able to fit new kitchen worktops or replace old ones with ease, helping you to pick out the best kitchen worktops for your home first. Tiles are so versatile that they can be used in kitchen splashbacks, floors, bathroom walls and as decorative designs elsewhere in the house. Tile manufacturers and tilers in Liverpool, Merseyside will have a great range of tile designs, sizes and materials to choose from and will help you to pick the best tile for the job. Laying tiles may look easy sometimes, but one badly laid tile can ruin a whole floor or wall, so it’s really best to leave it to a skilled tiler. With Houzz you can find Liverpool, Merseyside tilers, tile manufacturers and worktop installers near you and check their previous projects, reviews and ratings to decide if they’re a good fit for your home design project. Why should I hire worktop installers or tilers in Liverpool, Merseyside? Perfectly laid tiles and worktops can look simple and seamless once finished, but installing them is far harder than it looks. It really pays off to hire a Liverpool, Merseyside tiler or worktops professional as they will have the experience and expertise to finish the job efficiently, quickly and to a high quality. From metro bathroom tiles and porcelain tiling, to kitchen worktops, splashbacks and travertine floor tiles, there will be a tiler or worktop professional who can install the surface you need for your bathroom or kitchen design. There will even be tile and worktop repairers to help you if you need a quick fix-up to your surfaces. Tile manufacturers, worktop professionals, and often tilers in Liverpool, Merseyside themselves, will also be able to advise you on the right materials to use if you’re not decided on one particular type. They can tell you the advantages of the different flooring, wall tiles and kitchen worktops so you can make the right decision for your home. If you’re after a bespoke tile pattern, mosaic or mural created and laid in your house, this will also be possible with Houzz as we list such a wide range of tile manufacturers, worktop professionals and tilers in Liverpool, Merseyside. It could be the case that you can find a design or construction company that can offer tiling and worktops as part of their work, whilst also undertaking other projects for your house redesign, so it’s worth looking out for these professionals, too. Here are some related professionals and vendors to complement the work of tiles, stone & worktops: Interior Designers, Architects & Building Designers, Main Contractors, Kitchen & Bathroom Designers, Design & Build. Find a tiler or worktops professional on Houzz. Narrow your search in the Professionals section of the website to Liverpool, Merseyside tilers and worktop installers. 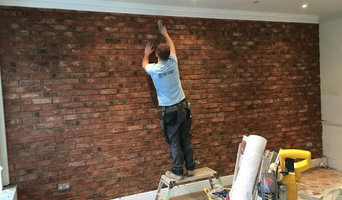 You can also look through Liverpool, Merseyside photos to find projects you like, then contact the contractors or tilers in Liverpool, Merseyside who worked on the tiling work or kitchen worktops.